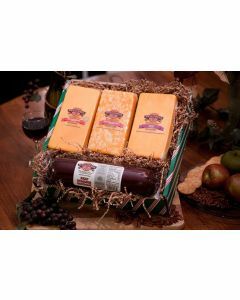 Homestead Cheese's Wisconsin Cheese Gift Baskets and Gift Boxes will never leave your recipient's wondering "Where's the Cheese?" This box features full sized 1/2 pound blocks of Wisconsin Cheese! 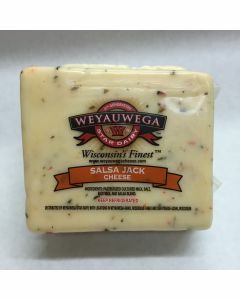 Wisconsin Pepper Jack Cheese - Big 1/2 Pound Block! 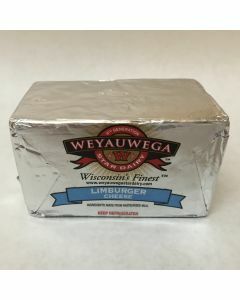 Wisconsin Baby Swiss Cheese - Big 1/2 Pound Block! 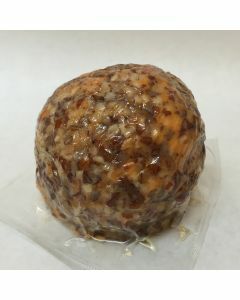 Diamond Marble (combination of Wisconsin Monterey Jack Cheese and Wisconsin Colby Cheese) - Big 1/2 Pound Block! 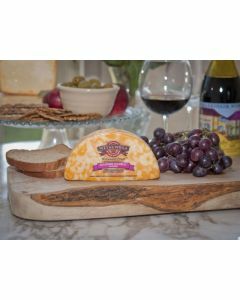 Wisconsin Garden Fresh Monterrey Jack Cheese - Big 1/2 Pound Block! 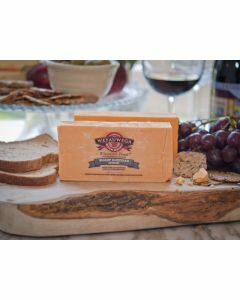 Smoked Wisconsin Cheddar Cheese - 9oz Piece! 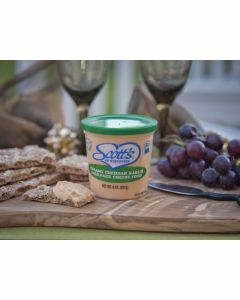 Herb and Garlic Alacreme Cheese Spread - 8oz Cup! 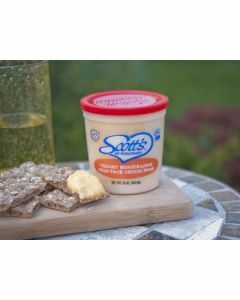 French Onion Alacreme Cheese Spread - 8oz Cup! 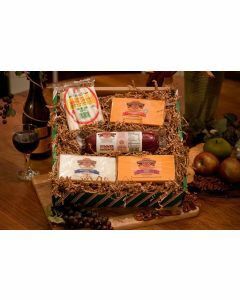 Wisconsin Cheese Baskets and Gift Boxes make a great gift for clients, customers, and business prospects! 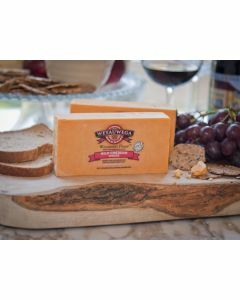 Wisconsin Cheddar Cheese is a hard yellow colored cheese which was originally created in the town of Cheddar in England. Today, some of the best Wisconsin Cheddar cheese is made in Wisconsin. During the first steps of Wisconsin Cheddar Cheese making, milk is formed into solid cheese curds and liquid whey. After the whey has been drained off, the curds continue through the cheesemaking process to form Wisconsin Cheddar Cheese. 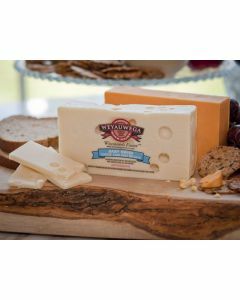 White Wisconsin Cheddar Cheese is created by omitting annato, which is a natural coloring agent which creates the yellow to orange color in Yellow Wisconsin Cheddar Cheese. Over the years, Cheesemakers found that the fresh curds produced in the first steps of the process were also a delicious snack! We are sure you will agree! Blue Cheese is a strong, sharp, and flavorful cheese which easily crumbles. The name comes from the "blue colored" specks throughout the cheese. The characteristic spots and distinctive flavor in Blue Cheese come from harmless molds which grow on the cheese during the aging process. It's rumored that the actions of these molds were discovered accidentally when aging other types of cheese - what a delicious discovery! 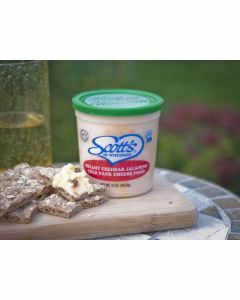 Our Wisconsin Blue Cheese is great on salads, in dressings, and it can easily be a delicious snack on it's own! 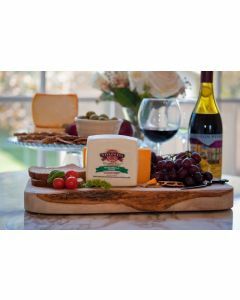 Wisconsin Cheese Gift Baskets and Gift Boxes make great gifts year-round! 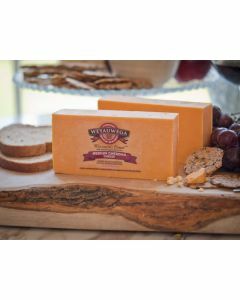 Wisconsin Cheddar Cheese is a hard yellow colored cheese which was originally created in the town of Cheddar in England. Today, some of the best Wisconsin Cheddar cheese is made in Wisconsin. During the first steps of Cheddar Cheese making, milk is formed into solid cheese curds and liquid whey. After the whey has been drained off, the curds continue through the cheesemaking process to form Cheddar Cheese. Monterey Jack Cheese was originally made by Franciscan Friars in Monterey, California. David Jack, a businessman, worked to promote and mass market this type of cheese, and eventually it came to be known as Monterey Jack. Today, some of the best Monterey Jack cheese is made in Wisconsin. Monterey Jack is produced in a similar manner to Colby - the curds are washed during cheesemaking to produce a very mild flavored cheese. To create our Garden Fresh blend of Monterey Jack, we add a delicious blend of vegetables and spices to traditional Monterey Jack cheese. 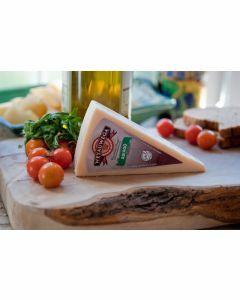 Our Garden Fresh Monterey Jack blend is great on cheese trays, on salads, or in many other dishes. 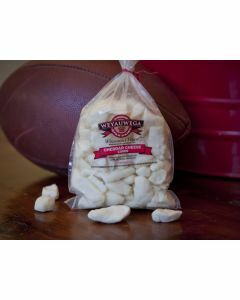 Wisconsin Monterey Jack Garden Fresh Cheese - Big 1/2 Pound Block! 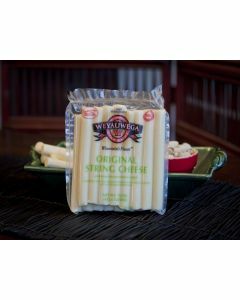 String Cheese - 1/2 Pound Bag! 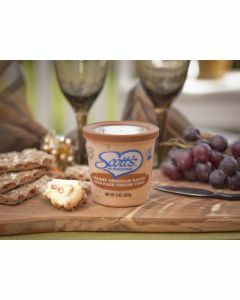 Herb and Garlic Alacreme Cheese Spread - 7.5oz Cup! 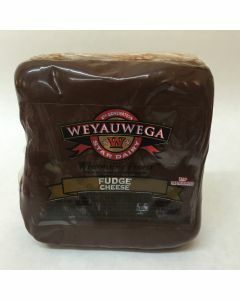 Beef Summer Sausage.- 1 Pound Log! 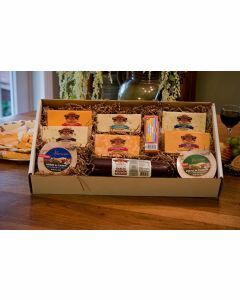 Our Wisconsin Cheese Baskets and Boxes can be shipped nationwide year round! 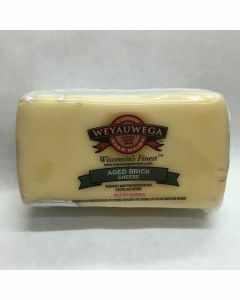 Brick Cheese is a soft white cheese which was first made in Wisconsin. The name comes from the brick shaped form in which the Cheese is usually made. Brick Cheese starts out as a sweet and mild cheese. However, after aging, the strong flavor and ripe odor develops! All Mozzarella Wisconsin cheese starts out as string cheese! During the Mozzarella Wisconsin cheese making process, cheese curds are formed out into ropes and strings. These ropes and strings are then pressed back into blocks and balls to form Wisconsin Mozzarella cheese. Luckily for us, a clever cheesemaker recognized that the ropes and strings formed during the Mozzarella cheesemaking process make a delicious snack on their own. 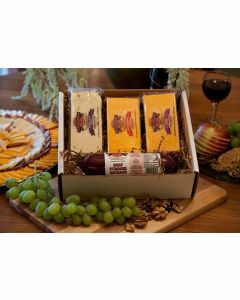 Homestead Cheese's Wisconsin Cheese Gift Baskets and Gift Boxes will never leave your recipient's wondering "Where's the Cheese?" This box features XXL 2 pound blocks of Wisconsin Cheese! 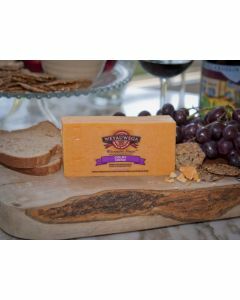 Mild Wisconsin Cheddar Cheese - XXL 2 Pound Block! Diamond Marble (combination of Wisconsin Monterey Jack Cheese and Wisconsin Colby Cheese) - XXL 2 Pound Block! 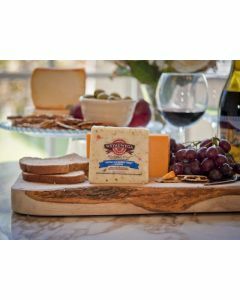 Wisconsin Colby Cheese - XXL 2 Pound Block! Beef Summer Sausage - XXL 2 Pound Log! Share a Wisconsin Cheese Box or Wisconsin Cheese Basket with friends and family! Swiss Cheese originated in the Emmental valley in western Switzerland. The Wisconsin Swiss Cheese that we enjoy today is similar to Emmentaler cheese which is made in Switzerland and other areas. Swiss Cheese is unique because during the production of the Cheese carbon dioxide bubbles are formed. 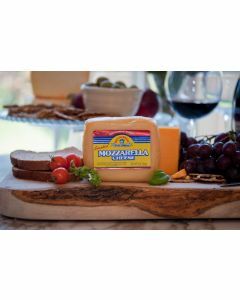 These bubbles create the distinctive "eyes" or holes within the cheese.Baby Swiss cheese is aged for a much shorted period, giving delicious Swiss cheese flavor without the sharpness of aged Swiss cheese. All Wisconsin Baby Swiss Cheese blocks are approximately 1/2 pound. 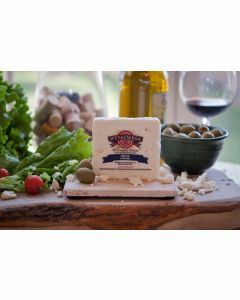 Feta Cheese originated in Greece. To produce Feta cheese, the curd is formed into blocks and then submerged in brine for a number of months. The brine helps form the distinctive flavor and crumbly texture of the cheese. 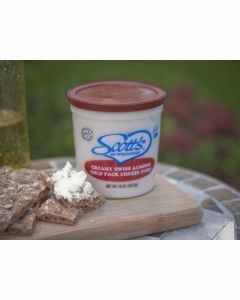 Feta is used in many recipes, and our Wisconsin Feta Cheese is a delicious compliment to salads and other dishes. 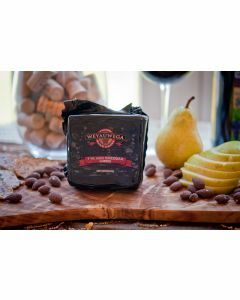 Diamond Marble Cheese is a blend of Wisconsin Colby Cheese and Wisconsin Monterey Jack Cheese. 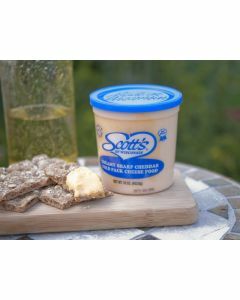 Both Colby and Monterey Jack have a very mild flavor, and the combination is a great addition to salads, cheese and cracker trays, and many other dishes. 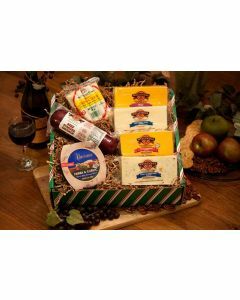 Gift the gift of a Wisconsin Cheese Box or Wisconsin Cheese Basket! Enjoy our Blue Ribbon Winning Cold Pack Cheese on breads, pretzels, crackers, and other snacks. Our Extra Sharp Wisconsin Cheddar Cheese Cold Pack is made with real Wisconsin Sharp Cheddar Cheese. Enjoy our Blue Ribbon Winning Wisconsin Cold Pack Cheese on breads, pretzels, crackers, and other snacks. 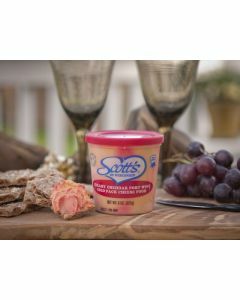 Our Wisconsin Swiss Cheese and Almonds Cold Pack is made with real Wisconsin Swiss Cheese and Almonds. Enjoy our Blue Ribbon Winning Cold Pack Cheese on breads, pretzels, crackers, and other snacks. Our Sharp Wisconsin Cheddar Cheese Cold Pack is made with real Wisconsin Sharp Cheddar Cheese. 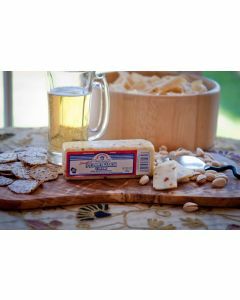 Enjoy our Blue Ribbon Winning Wisconsin Cold Pack Cheese on breads, pretzels, crackers, and other snacks. 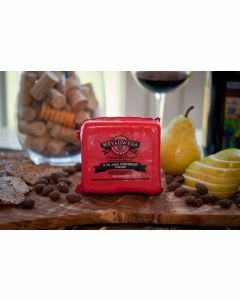 Our Wisconsin Cheddar Cheese and Port Wine Cold Pack is made with real Wisconsin Cheddar Cheese and Port Red Wine. Enjoy our Blue Ribbon Winning Wisconsin Cold Pack Cheese on breads, pretzels, crackers, and other snacks. 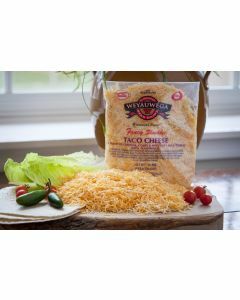 Our Wisconsin Cheddar Cheese and Jalapeno Cold Pack is made with real Wisconsin Cheddar Cheese and bits of Jalapeno Pepper. 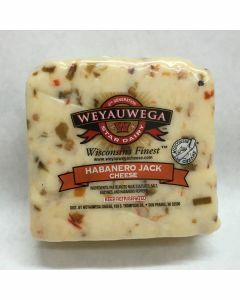 Our Wisconsin Habanero Jack Cheese is a combination of Wisconsin Monterey Jack Cheese along with blazing hot Habanero Peppers. For those who love our Wisconsin Pepper Jack Cheese, this takes things to a whole new level! Enjoy our Blue Ribbon Winning Cold Pack Cheese on breads, pretzels, crackers, and other snacks. 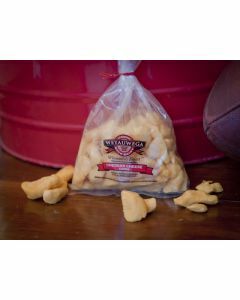 Our Wisconsin Cheddar Cheese and Garlic Cold Pack is made with real Wisconsin Cheddar Cheese and a dash of Garlic. Enjoy our Blue Ribbon Winning Cold Pack Cheese on breads, pretzels, crackers, and other snacks. 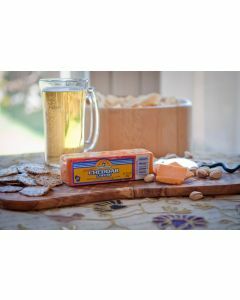 Our Wisconsin Cheddar Cheese and Horseradish Cold Pack is made with real Wisconsin Cheddar Cheese and tangy Horseradish. Enjoy our Blue Ribbon Winning Cold Pack Cheese on breads, pretzels, crackers, and other snacks. Our Wisconsin Cheddar Cheese and Bacon Cold Pack combines Cheddar Cheese with pieces of fresh Bacon. To create our Pepper Jack blend of Monterey Jack, we add a hot and spicy blend of peppers to traditional Monterey Jack cheese. Finally, this cheese is naturally hickory smoked to add extra flavor. All Smoked Wisconsin Pepper Jack Cheese blocks are approximately 7 ounces. Today, some of the best Monterey Jack cheese is made in Wisconsin. Monterey Jack is produced in a similar manner to Colby - the curds are washed during cheesemaking to produce a very mild flavored cheese. To create our Pepper Jack blend of Monterey Jack, we add a hot and spicy blend of peppers to traditional Wisconsin Monterey Jack Cheese. 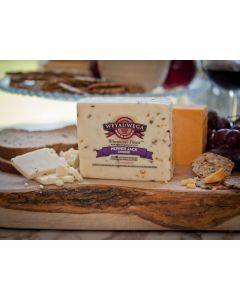 Our Pepper Jack blend is great on cheese trays, on salads, or in many other dishes. All Wisconsin Pepper Jack Cheese blocks are approximately 1/2 pound. All Mozzarella cheese starts out as string cheese! During the Mozzarella cheesemaking process, cheese curds are formed out into ropes and strings. These ropes and strings are then pressed back into blocks and balls to form Mozzarella cheese. Luckily for us, a clever cheesemaker recognized that the ropes and strings formed during the Mozzarella cheesemaking process make a delicious snack on their own. 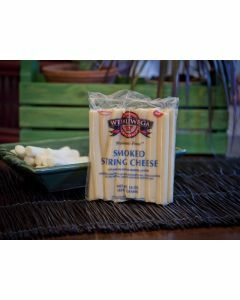 Our Smoked Wisconsin String Cheese is naturally smoked with Hickory to add a unique flavor. All packages of Smoked Wisconsin String Cheese are approximately 1 pound. 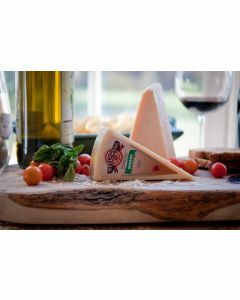 Romano cheese is a dry, aged cheese which grates easily. It was originally made in Italy, and is a very popular addition to many italian dishes. The distinctive "wedge" shape of most Romano cheese comes from the cheesemaking process. 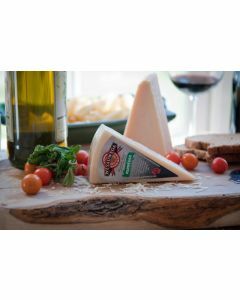 Romano cheese is aged and compressed in wheel shaped containers for a very long time. When the cheese is ready, the wheels are cut, much like a pizza, to create the wedge shape. All Wisconsin Romano Cheese wedges are approximately 8 ounces. Parmesan cheese is a dry, aged cheese which grates easily. It was originally made in Italy, and is a very popular addition to many italian dishes. The distinctive "wedge" shape of most Parmesan cheese comes from the cheesemaking process. Parmesan cheese is aged and compressed in wheel shaped containers for a very long time. When the cheese is ready, the wheels are cut, much like a pizza, to create the wedge shape. All Wisconsin Parmesan Cheese wedges are approximately 8 ounces. Mozzarella Cheese was originally created in Italy. The italian word "mozarre" means "to cut", which describes part of the cheesemaking process. When making Mozarella, the cheese curd is spun into long ropes of cheese. Once the ropes have the desired consistency and elasticity, they are cut and then formed into the finished product. Finally, this cheese is naturally hickory smoked to add extra flavor. All Wisconsin Smoked Mozarella Cheese blocks are approximately 7 ounces. When making Wisconsin Mozzarella cheese , the cheese curd is spun into long ropes of cheese. Once the ropes have the desired consistency and elasticity, they are cut and then formed into the finished product. All Wisconsin Mozzarella Cheese blocks are approximately 1/2 pound. Asiago cheese originated in the town of Asiago, which is located in the mountainous region of Northern Italy. Our Wisconsin Asiago Cheese is a delicious addition to soups, pasta, and other dishes. It's hard texture, much like Parmesan, makes it easy to grate onto any dish. All Wisconsin Asiago Cheese wedges are approximately 8 ounces. 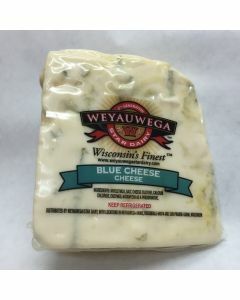 Enjoy our Blue Ribbon Winning Wisconsin Cold Pack Cheese on breads, pretzels, crackers, and other snacks. 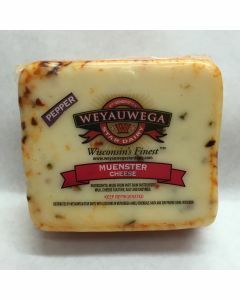 Our Wisconsin Pepper Jack Cold Pack is made with real Wisconsin Monterey Jack Cheese and spicy peppers. Wisconsin Cold Pack Cheese keeps up to 1 year in your refrigerator.